The Southern Virginia University board of trustees today announced that Paul K. Sybrowsky, who served in the Second Quorum of the Seventy for The Church of Jesus Christ of Latter-day Saints from 2005 to 2011, will become the university’s next president on June 1, 2012. 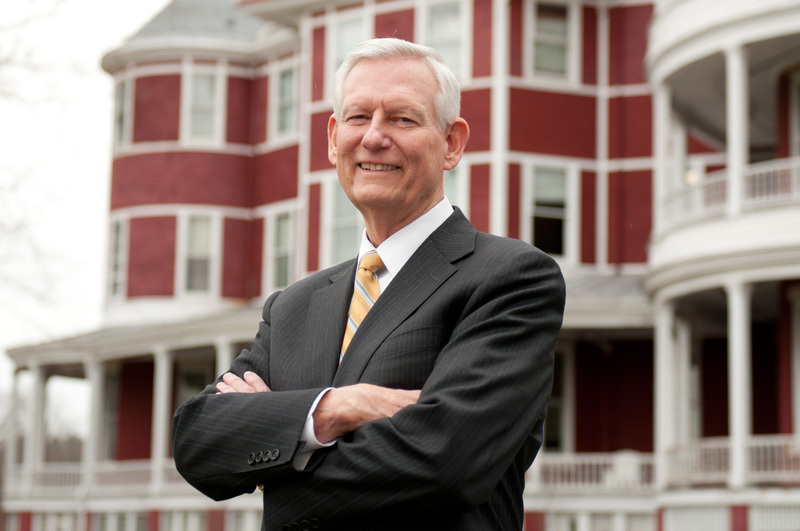 In addition to his service as a general authority, Elder Sybrowsky has served on the boards or leadership councils of three universities, and was a commissioner of the Northwest Commission of Colleges and Universities. He also founded and headed Dynix, the world's leading provider of automated library services. The announcement was made on the Southern Virginia campus to a capacity crowd of students, faculty and staff. Although he will assume his fulltime role as president on June 1, Elder Sybrowsky will immediately take on some duties on a part-time basis, working closely with Richard G. Whitehead, acting president and vice president of institutional advancement. Elder Sybrowksy’s service to institutions of higher learning is typified by his time as a commissioner of the Northwest Commission of Colleges and Universities from 1998 to 2001. He also has worked to advance and raise funds for several universities. For nearly two decades, he has been a member of the President’s Leadership Councils at Brigham Young University and Brigham Young University—Hawaii. He also served for eight years as a member of the board of directors for Utah Valley University, including two years as chair. Elder Sybrowsky has extensive experience in international business. He founded the largest library services corporation in the world, Dynix, which he sold in 1993. At present, he is managing partner of Zion's Hospitality Management, a hotel operator and management company, and consults with several businesses. He was named Utah's Small Businessman of the Year and Utah's Entrepreneur of the Year in the field of technology. Elder Sybrowksy, who currently lives in Provo, Utah, will take the helm of the university from Dr. Richard G. Whitehead, who has served as acting president since August 2011. Whitehead has served as Southern Virginia’s vice president of institutional advancement since 2003. He was named acting president following the departure of President Rodney K. Smith, who served as president from 2004-2011, and now serves as vice chair of the university’s board of trustees. During his time as a general authority for his church, Elder Sybrowsky oversaw church matters from 2005 to 2008 for Australia, Papua New Guinea and the Solomon Islands. He also had assignments in the areas of church history, media services and family history. He has served as a bishop twice, as stake president and as mission president in Canada. He was released from the Second Quorum of the Seventy in Oct. 2011, but retains the title of elder. Prior to serving his first fulltime mission in Canada, Elder Sybrowsky studied at the Church College of Hawaii. Following his mission he attended BYU, from which he received a bachelor’s degree in sociology in 1968. Elder Sybrowsky and his wife, Lynne, have nine children and 22 grandchildren. Southern Virginia University combines the finest aspects of a liberal arts education with a culture that embraces the values of The Church of Jesus Christ of Latter-day Saints. Founded in 1867 as a school for women, Southern Virginia University was renewed in 1996 as an independent coeducational institution to serve faithful Latter-day Saints and all who live by similar values. In the fall of 2011, Southern Virginia had an all-time high enrollment of 800, representing all 50 states, and is on its way to a goal of 1,000 to 1,200 students. The university provides small classes and a first-class educational experience. More than 40 percent of alumni have attended graduate school. Paul K. Sybrowsky will become president of Southern Virginia University on June 1.Paul. K. Sybrowsky in front of Southern Virginia University's historic Main Hall.